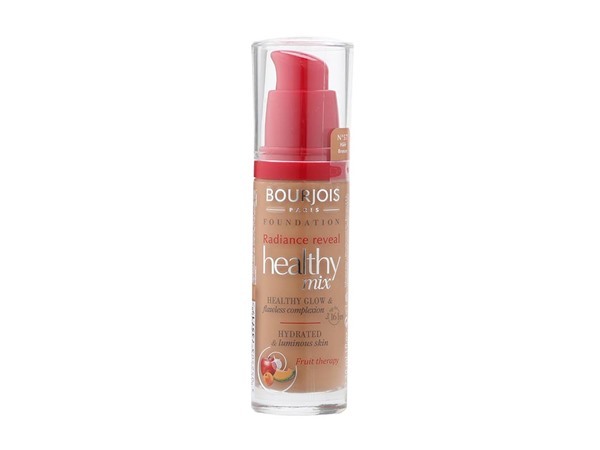 How many stars do you give Healthy Mix Foundation by Bourjois? 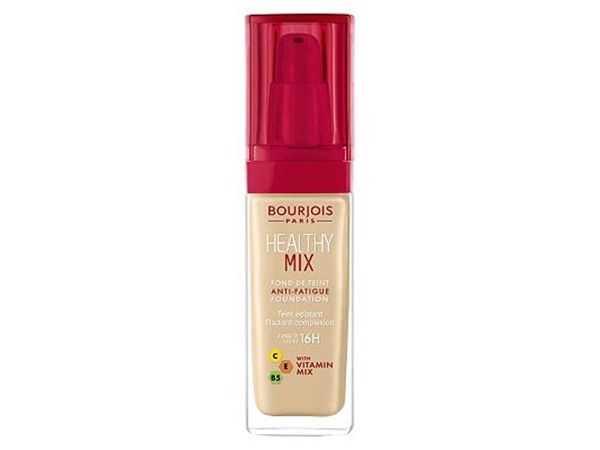 Bourjois Healthy Mix Foundation is available to buy at lookfantastic, HQhair.com, ASOS, Feelunique, Boots.com, and Beauty Expert. This foundation has beautiful coverage that isn't too thick and doesn't make me look cakey, but it had enough to make my skin look flawless, even with red spots and pimples. It also felt like nothing on my face and was very lightweight. nikola300 and sadielouaird like this. This is the first foundation I've found that properly blends in, and doesn't make me look cheap and cakey. It gives a medium coverage, and looks really natural. The shade range is average, it doesn't look like they cater very well to dark and very light skin tones which is a shame. As with all bourjois products, it smells really good.  MakeUpGeek, EllenS and nikola300 like this. I'll always turn to this foundation if I need a safe go to! No fuss just an easy soft and creamy formula that only needs one coverage to cover my impurities, it works great with blushers and other products with no cakiness, very breathable foundation and sure winner in my collection. Amestarz, BhavyaM and nikola300 and 1 others like this. This foundation is my ride or die!! I am in my teens with normal, medium tone skin and blue eyes. My hair is dark brown, dry with normal texture. 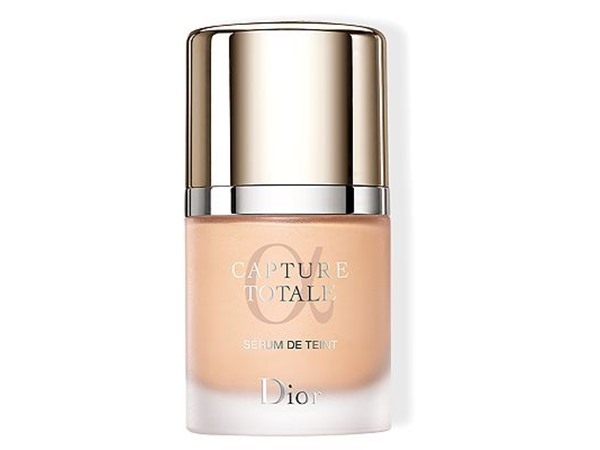 I wasn’t sure about this foundation at first as I had moved from EL double wear to this as I wanted something a little less heavy and more dewy. On the first day wearing this I got two compliments on my skin and asking what foundation I use. I would say it is medium coverage but can be easily buildable to full, it blends so well and stays put all day. I have the shade light beige which is perfect for a yellow undertone. I have combination skin with dry patches and this doesn’t excentuate my dryness at all, feels so moisturising. Not sure if this would stay on an oily skin... On my second bottle of this now! I am in my mid 20's with combination, tanned tone skin and blue eyes. My hair is medium brown, normal with normal texture. I am in my late teens with combination, olive tone skin and unknown eyes. My hair is unknown, unknown with unknown texture. Amestarz, EllenS and Cmorton23 like this. My absolute favourite. I've tried lots of foundations over the years but this has been my only one now for about 3/4 years. I don't like heavy or thick, matte foundations but I still want an even coverage that gives me a nice glow. Each bottle last me about 3 months and I apply with a beauty blender. It is long lasting but when it's hot outside ( my forehead gets shiny) I have to put abit of loose power over the top ( which I don't normally wear) to stop my face from looking like a spoon. Lickle-Boo, Amestarz and zoe_ and 2 others like this. I got this foundation in the shade 52 Vanilla as it was supposed to be a good shade match for the Estee Lauder Desert Beige I had been matched with. Due to having really dry skin, I wanted to be careful in choosing a foundation that wouldn't dry my skin out even more. 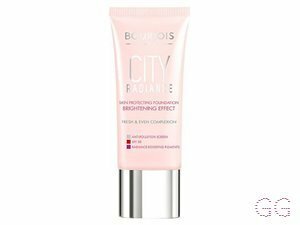 This product applied nicely, it gave a decent amount of coverage which is fine for what I wanted from the foundation and I had no problems with how it lasted on my skin. Bought this as I'd seen good reviews of it. I was pretty disappointed. It doesn't last 16 hours probably lucky if it lasted 6 hours. It's light coverage I'd say so it's probably good for those with perfect skin. I wouldn't repurchase. 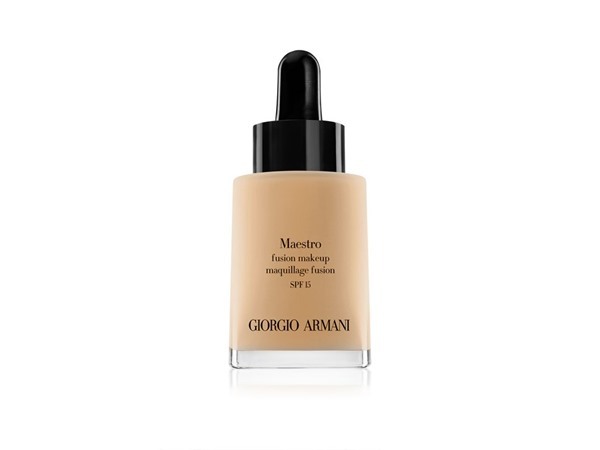 I was pleasantly surprised by the coverage and longevity of this foundation and how easy it is to blend. I've tried 20+ foundations and none sit right on me skin no matter what primer/moisturiser or setting products I use but this stayed on pretty well through an 11 hour shift in a busy restaurant. My only downside would be that it goes a little shiny after a few hours so maybe not the best for oily skin. Would definitely buy again as it's great value for money. I am in my mid 20's with combination, light tone skin and green eyes. My hair is light brown, processed with normal texture. I have very dry skin at times and this doesn't crust. It blends very well. However can still crust a bit at first. I am in my late teens with dry, tanned tone skin and brown eyes. My hair is blonde, combination with fine texture. Very yellow undertoned. This is meant to be for dry skin but as I'm on holiday I have found it literally isn't sinking into my skin it's just sitting on top and moving and making my skin look more dry. 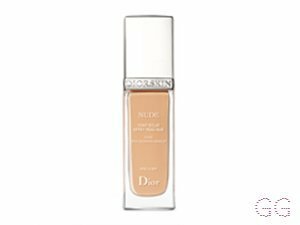 Other than that I do love this foundation and it's very buildable but a light to medium coverage. Lately I've been into foundations and BB creams that habe a lot lighter coverage due to it being summer and this one works perfectly. 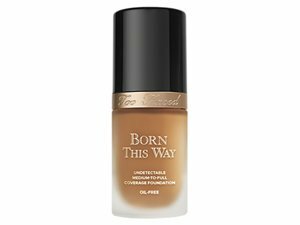 The only problem is the shade range the lightest shade is too light and the next shade is too dark so I use foundation mixing drops and that works well for me. Overall this is a great summer time foundation. I bought the lightest shade Boots had (and double-checked it in another store) and it is still a little too dark for me, and I do not consider myself pale. It's also a bit yellow!. Hoping it'll work as a summer item, as I like the sheer coverage and the dewy aspect is spot on. I am in my late 20's/early 30's with combination, light tone skin and brown eyes. My hair is medium brown, combination with fine texture. 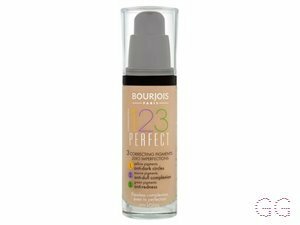 This is an amazing foundation, is full coverage so you only need a tiny bit. 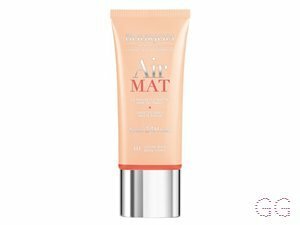 Unfortunately the shades are extremely pink toned and very dark and there isn't that many choices shade wise, although it doesn't look powdery but is very dewy so it's best to go over with a mattifying powder. I am in my late teens/early 20's with dry, fair tone skin and blue eyes. My hair is blonde, dry with coarse texture. I am in my late teens with dry, light tone skin and green eyes. My hair is light brown, normal with normal texture.